The North Face is a real testpiece, especially for those with small hands! The first and third pitches present wide hands and offwidth challenges on very steep and solid sandstone. 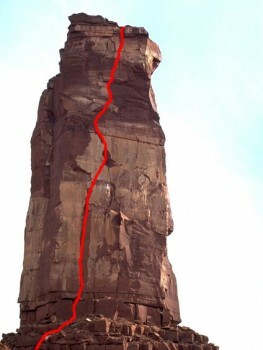 This route is a must-do if you are up for the challenge. Which SuperTopo guidebooks include a topo for North Face?